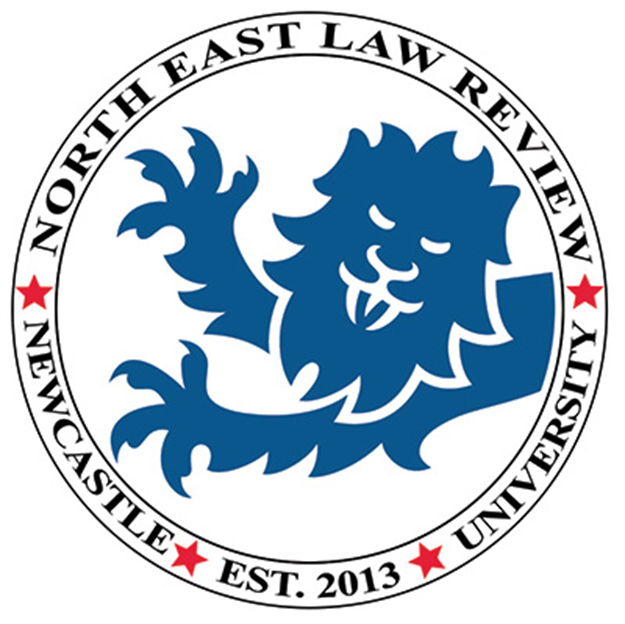 The launch event for the 2018 edition of the North East Law Review is taking place on 29th May at 4pm in seminar room 5. The Review publishes a selection of the best student essays from the North East – this year’s collection covers a range of fascinating and important issues, including Brexit, patient autonomy, and Charles 1st. Pick up a copy at the launch! The event takes place at the conclusion of the Symposium in Law and Politics – the North East Law Review is hosting post-symposium drinks. Please feel free to attend both or either event. It is, as ever, crucial for law students entering the workplace to be commercially aware. But the concept of commercial awareness is no longer monolithic. Craig Sharpe, Marketing Manager, has written the piece below on its developing nature. Craig, who has more than 30 years in the legal field, will be providing further insights into this and other legal practice issues at a careers service event taking place on 7th February (details to follow). Travelling around the country visiting and speaking at different Universities, it’s clear to me that students are increasingly aware of the changing nature of lawyering. The buzzword that often summarises the major changes in legal practice and the market is “commercial awareness”. When I talk to students it’s also clear to me that what constitutes commercial awareness is not always clear. The term can mean different things to different people and, crucially, it often means something quite different depending on the type and size of law firm. The traditional role of lawyers as pure professionals has largely disappeared over the last 30 years. When I say pure professional I mean a relationship where lawyers were used to protect clients without needing necessarily to understand much about the client’s business, where legal costs weren’t generally negotiated much by clients, and where the legal market wasn’t that competitive. Things have radically changed, primarily based on a huge increase in the number of lawyers without the same increase in the demand for legal services. Clients now shop around for lawyers and their expectations have changed. For the largest law firms, on a basic level, commercial awareness tends to mean an expectation that trainee applicants demonstrate an understanding of: (1) how business works and; (2) the importance of understanding different business sectors. This is often the basic definition of commercial awareness, described in this article, and one which most students provide when I ask them what commercial awareness means. However, it actually involves a lot more and if students can demonstrate they understand it on a deeper level, this can be a differentiator. Even the magic circle firms are now having clients demand justification of charging rates and their proportionality. The latter is especially important – the historical model was that lawyers would advise clients that, as professionals, they had to do a job thoroughly and that might mean costs could seem disproportionate to the commercial risk/advantage to the client. Clients, generally, simply don’t buy that argument any more. So, being commercially aware means understanding that clients almost always looking at whether legal fees are proportionate from a business viewpoint. Historically, lawyers wouldn’t even consider sharing some of the commercial risk with clients and the practice was also seen as unethical. Times have changed and for some types of law, clients now expect their lawyers to share some risk. This typically applies to high value litigation, where increasingly, litigation funding (more here on the growth of litigation funding) and some form of partial risk sharing, contingency or no win no fee is being utilised. So, lawyers and law firms are having to exercise commercial judgment as well as legal judgment in deciding whether to take on a potentially lucrative but risky case. In doing so, business considerations can also apply. For example, with a high value, multinational client, the commercial awareness aspect may also include consideration of how the client may view the firm going forward if the firm rejects risk sharing out of hand. In other words, if that clients goes elsewhere for a litigation matter, might they not come back for other types of work such as huge corporate transactions? The example given above demonstrates that commercial awareness often has an internal as well as an external aspect. In addition to understanding clients, markets and so on, lawyers are increasingly being forced to adopt a business as well as professional approach. Being part of a law firm means understanding the internal commercial considerations that go on within that firm. Law students may well ask “how can law firms expect me to know about their business when I apply, I don’t have access to that information?”. That’s a completely fair point of course. However, law students can gain an understanding of the changing market and how that impacts firms of all sizes. Whether a student may apply to a huge law firm or a very small one, appearances of unabated success can be deceptive and firms of all sizes now face unprecedented competition. For a smaller law firm, internal commercial awareness may well mean understanding that for that size of firm, they would expect a trainee lawyer to get involved in tasks that are not traditional fee earning. In a firm like Darlingtons, a typical small to medium firm where I work, we expect trainees to be open to getting involved in marketing initiatives. In a competitive market, every member of staff needs to have an open and adaptable approach which is team centric. This is an example of how we perceive commercial awareness. It’s worth remembering that about 70% of lawyers or more do not work in the big firms, so students statistically who pursue a career as a solicitor are more likely to end up working in a smaller law firm. North East Law Review recruiting for editors NOW – deadline 6th October! Newcastle students – we’re recruiting student editors… apply now! The NELR is a Newcastle University student-led and -run journal. 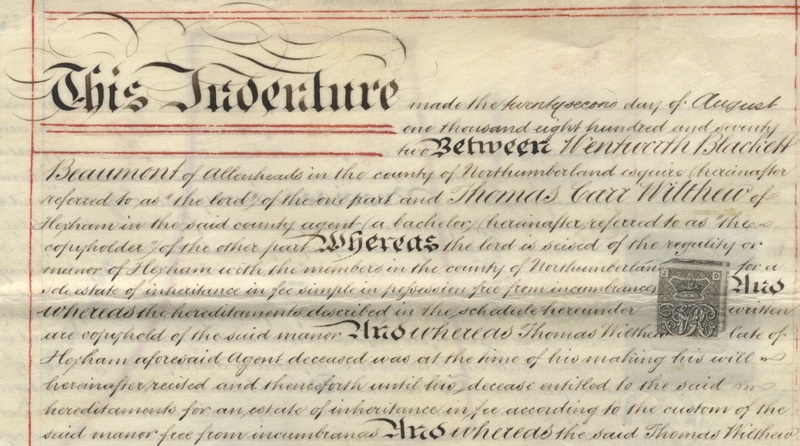 It publishes annually a selection of high-quality legal research from Newcastle Law School and other law schools in the North East. The key role of the editorial board is to prepare articles for publication. This involves standardising and improving the style, referencing and language of each piece to the quality required by a journal of professional appearance. The NELR also runs this blog, which is led by the board. • Helping to promote the high-quality research produced by Newcastle students. • Engagement with high quality work will help improve your own coursework. • Editing and preparing text for publication is a valuable skill – great for the CV. • Developing and demonstrating teamworking skills. • Opportunities to help develop the Review’s website and social media presence. You have to be a 2nd, 3rd or Postgrad law student at Newcastle University to qualify. Please send your CV and a brief covering letter, explaining why you wish to participate in running the NELR and what you can bring to it. Please also attach a recent essay that is all your own work. The deadline is Friday, October 6th. Applications must be sent to nelr@ncl.ac.uk. If you want any further information, please contact either Tim Sayer, Editor in Chief, (T.J.Sayer2@ncl.ac.uk) or Jenny Lio, Deputy Editor, (J.Lio1@ncl.ac.uk). Is the Bill of Rights right? 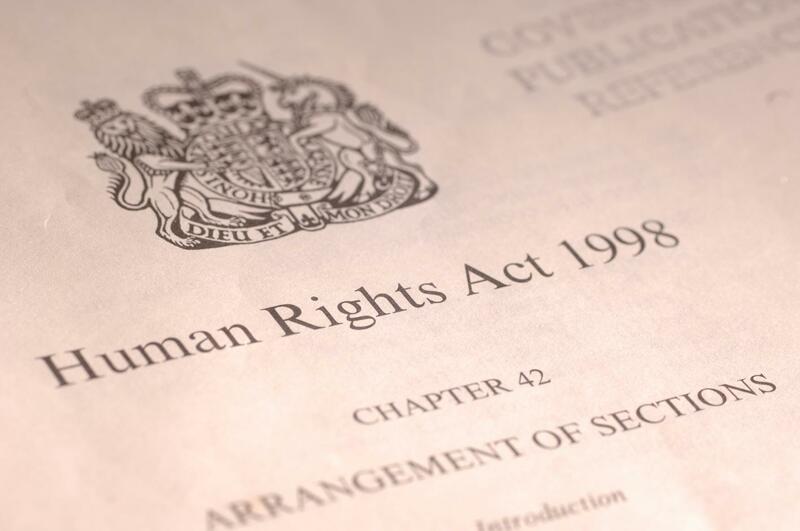 It is no secret that the Conservative Party has always been critical of the Human Rights Act 1998 (HRA), which incorporated the European Convention on Human Rights (ECHR) into domestic law. Many of its prominent members have spoken negatively of it and, instead, advocate a British Bill of Rights. In the Party’s 2010 election manifesto, it proposed to “replace the Human Rights Act with a UK Bill of Rights”. Likewise, in its 2015 manifesto the Party made the same promise but added that this proposal “will break the formal link between British courts and the European Court of Human Rights, and make our own Supreme Court the ultimate arbiter of human rights matters in the UK”. 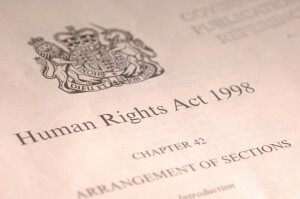 Although Michael Gove, the Secretary or Justice, announced before the House of Lords Constitution Committee that the awaited Bill of Rights consultation have been postponed causing a delay in the government’s plan to scrap the HRA again, the question of whether a Bill of Rights is right for the UK remains controversial. With public outcries for the HRA’s repeal demonstrated by the Policy Exchange/YouGov statistic of 75% of Britons thinking the HRA are a “charter for criminals”, there seems to be strong support for this proposal. However, is this figure a product of the media and many politicians’ widespread apathy towards the Strasbourg court’s controversial rulings, especially in foreign suspect cases, or does it show genuine need for Britain to build a home-grown Bill of Rights? And ensuring “sensible application and proper respect” for the “democratic role” of Parliament. In answering questions from other MPs, Raab’s responses are vague in analysis. However, it is apparent that the Party’s concerns remain unchanged and seemingly intertwined. First, there is concern towards the supposed “abuse” of rights by claimants who are seen as undeserving, namely foreign suspects who attempt to prevent deportation using human-rights laws after their prison release. As seen in the reactions to the Strasbourg court’s decision against the deportation of the suspected terrorist Abu Qatada, there is a great will for there to be a Bill of Rights with many antagonising the HRA. However, the idea that a human-rights claimant is ‘underserving’ does not rest well with the conventional notion of human rights. The ECHR was written after the horrors of the Second World War when it was believed that some fundamental rights, such as the right to be protected against inhuman and degrading treatment, should be enshrined with no get-out clause or exceptions. Some rights are fundamental in ensuring fair treatment and protection for all to prevent discrimination against particular groups such as foreign criminals from arbitrary power and populist opinions. Therefore, some human rights should be above the whims of parliament to protect minority interests. Introducing a Bill of Rights imply that, potentially, rights of these individuals will be compromised as the HRA is viewed as firearm for ‘undeserving’ claimants. With the notion that a human-rights claimant can be ‘undeserving’ and thus showing a lack of equal and fair treatment, just because the idea of a Bill of Rights is politically right, it does not mean it is morally right. Second, the Party is also concerned over a judicial “mission creep”; the court is said to have manipulated the interpretation of a rational set of human-rights laws to the ‘undeserving’ claimant’s advantage. This contention illustrates the tension between the courts and politicians and their institutional role regarding the separation of powers; the crux of the issue is the argument that unelected judges should not apply human-rights law to contentious matters of public interest, such as the balance between the threat of deportation of a suspected terrorist against the potential danger of their stay to the public. The compromise between the public’s interest of being protected and the foreign suspect’s interest in pursuing a family life in the UK is therefore a domestic issue requiring a political value judgement. The judiciary, especially a foreign one, cannot claim democratic mandate to make judgements on cases this heavily involving the public. However, which other institution can we rely on to make such decisions? If anything, contentious cases require neutrality to a larger extent to avoid tyranny of the majority and to reach a fair balance. Politicisation of the decision risks the scale to be tipped heavily in favour of the frantic public who are highly responsive to the media’s exaggerated portrayal. Lastly, Raab revealed a concern previously expressed by former Justice Secretary Chris Grayling, who advocated for “our Supreme Court to be supreme again”, that there should be an expansion in the UK Supreme Court’s authority in the expense of the Strasbourg court. This suggests that the concern is not with human-rights decisions by judges, but by specifically European judges. However, the argument lacks strength as it is unclear how and if the outcome would be different since all judges are supposedly politically neutral. Additionally, refusal to implement the Strasbourg court’s judgement may impact the obedience of other Council of Europe members. Recently, a bill in Russia was supported allowing Moscow to ignore judgements of international rights courts, foreshadowing the country’s rejection of the ECHR. So, is the Bill of Rights right? Politically, it is obvious that it will please many voters. However, one cannot help but be sceptical about why the Conservative Party endorse the proposal so badly and what human-rights law will look like if they were to shape it to their liking. This is without even considering the international impact and the obstacles of backbench MPs, the Lords and the devolved assemblies. It can be difficult to find ideology in the dry world of private law. Undergraduates are often attracted to the more controversial parts of the law – for instance, public law – where ideology is overt. The only real difficulty is, however, the need to look a little bit harder. The case of M&S v BNP Paribas concerned the exceedingly dry topic of the implication of terms into a contract. This case in effect overturned the previous leading case, Belize Telecom. It was a commonly-held view that the effect of Belize Telecom was that the court could imply terms that were not expressly put in a contract simply with reference to the process of construing the parties’ intentions. The law was not constrained by the restrictive ‘officious bystander’ and ‘business efficacy’ tests. It was a case of determining what was agreed. But this was said to be ‘wrong in law’ in BNP Paribas. What possible ideological change could this have wrought? 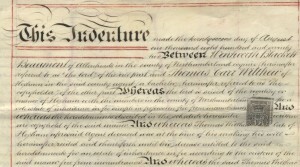 I suggest that it reflects acceptance by the senior judiciary, contrary to previous trends, that the private law cannot be made wholly subordinate to what persons and institutions want it to be without reference to external norms and community standards – what Alastair Hudson calls ‘autopoiesis’. Instead, the courts are recognising that private law, to some extent, has to be subordinate to external norms and standards. In short, private law cannot be privatised.